Official Website: Please click ‘here‘. A Shanghai China native now living in the UK, Dr Hua He is a qualified doctor and research physician. Hua grew up with the traditional health & wellness knowledge of green tea and other fruit & botanicals that had become part of everyday life in the ‘Middle Earth’ (China) for over 4,000 years. A green tea fanatic, it was Hua’s idea to develop this brand! Then Hua met Sophia. Sophia Nadur, born in Trinidad but now an adopted Brit and Londoner, spent 20+ years working in marketing & innovation roles for a number of multinational food & drinks companies. 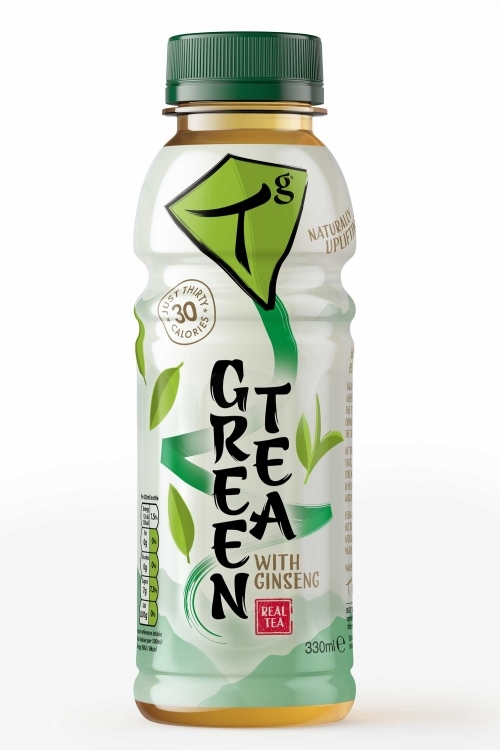 In 2014, she agreed with Hua to bring Tg Green Teas to life. The hot Tg Green Teas range is produced for Hua and Sophia by Hangzhou based Zhejiang Tea Group who provided wonderful support during the development stages prior to UK launch. The RTD iced range is bottled in the UK. I also want to mention that each flavour of iced tea is only 30 calories, perfect for those of us currently on strict diets. Plus there are no artificial flavours, colours or preservatives. Not to mention that they are USDA Organic and part of: CERES (Certification of Environmental Standards GmbH) and Ethical Tea Partnership. Refreshingly delicious and naturally uplifting green tea drink with ginseng extract. The tea infusion is made with real green tea leaves which give the drink a soft, crisp taste. We then blend in a sprinkle of ginseng that, along with the green tea, help strengthen your roots and put a spring in your step, according to ancient wisdom of the Middle Kingdom. Lightly sweetened with cane sugar and stevia extract. 30 calories and 7g sugar. Make the move to higher refreshment. 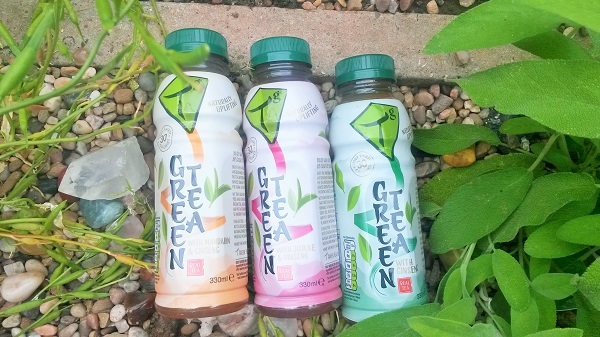 Enjoy the natural uplift of Tg Green Teas. Perfect at mealtime or on the go. Every 330ml drink is bottled in the UK and is free from preservatives, colours and artificial flavours. Review: I do like the bottle design, the label is rather cute. Very easy to see how many calories, the ingredients and a brief description of the blend. Once the lid is open I can note a soft yet sweet scent, subtle but refreshing non the less. The first sip was rather wonderful, sweet ginseng met with clean tasting green tea with mild grass qualities and a lingering aftertaste that keeps getting sweeter, like rock sugar. On the whole it is rather mild in terms of green tea but so very refreshing because of it. The sweetness brings out the ginseng a little better. It’s a nice level of sweetness, not as much as some of the other brands of iced tea I’ve tried. If anything it tastes more naturally sugared than artificially which adds to the pleasantry. Also getting a touch of dryness after a few sips though no bitterness at all. I can see this going down extremely well on a hot day, enough flavour to be pleasing but fresh and refreshing enough to quench ones thirst from the sun. A very nice combination. Refreshingly delicious and naturally uplifting green tea drink with ginseng extract. The tea infusion is made with real green tea leaves which give the drink a soft, crisp taste. We then blend in a sprinkle of mandarin peel extract and ginseng that, along with the green tea, help strengthen your roots and put a spring in your step, according to ancient wisdom of the Middle Kingdom. Lightly sweetened with cane sugar and stevia extract. 30 calories and 7g sugar. 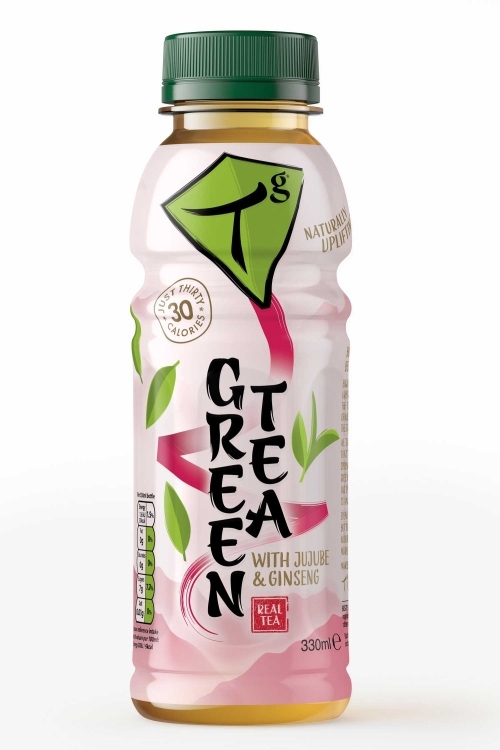 Switch from a high sugar juice or squash drink and enjoy the natural uplift of Tg Green Teas. Perfect at mealtime or on the go. Review: Green Tea with Mandarin and Ginseng, that sounds wonderful, I do love orange (and similar) flavours in general. As I open the cap I am met with an amazing sweet and fresh mandarin scent. In terms of flavour this is as mild as the ‘original’ iced tea ie Green Tea with Ginseng, but the mandarin is so sweet and juicy it tastes like cordial. Albeit a natural and rather nice cordial. A few sips in and the mandarin increases in strength, enough to be waxy but remaining fresh and very delicious. At times it’s like eating an actual mandarin! I can almost taste the flesh and pulp. As I mentioned before, I’m an orange fan; and quite frankly I found this delicious. The balance of flavour was nice, not too strong or weak but sweet enough to be refreshing and heavenly. I highly recommend this to fellow orange (and the like) fans. Refreshingly delicious and naturally uplifting green tea drink with ginseng extract. The tea infusion is made with real green tea leaves which give the drink a soft, crisp taste. We then blend in a sprinkle of Jujube – an exciting new to the UK “”superfruit”” – and ginseng that, along with the green tea, help strengthen your roots and put a spring in your step, according to ancient wisdom of the Middle Kingdom. Lightly sweetened with cane sugar and stevia extract. 30 calories and 7g sugar. 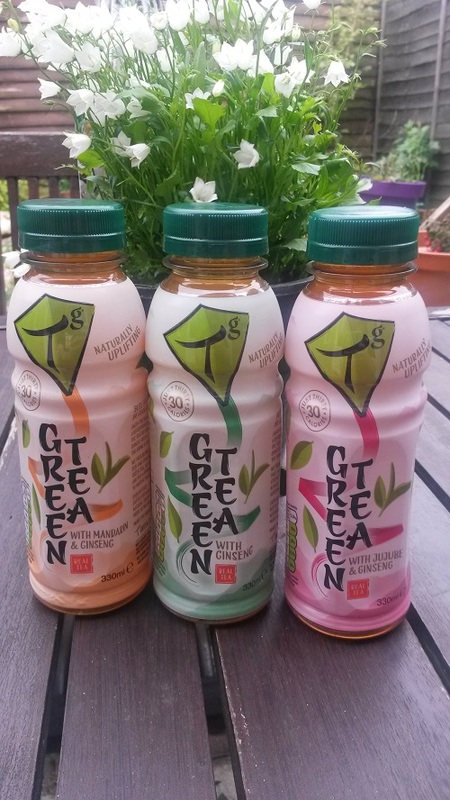 The perfect alternative to a high sugar expensive “”beauty drink”” plus the natural uplift of Tg Green Teas. Perfect at mealtime or on the go. Review: I don’t recall having green tea with jujube in before, but it sounds pretty awesome! As I open the cap I am met with a sweet scent, very soft but with some fruit tones. Something a little stronger than the ginseng which must be the jujube. Reminds me of cranberry without the harshness. The flavour is as light and refreshing as I was expecting (comparing the previous two teas) but the jujube is interesting. It tastes like a combination of raspberry and cranberry albeit mild and sweet, though there is some dryness in the after taste. The rock sugar like sweetness lingers. Conclusion: This was a wonderful introduction to Tg and their range of iced tea. I admit that I don’t often buy pre-made iced tea, but if I did then I would certainly consider stocking these. I particularly adored the Mandarin tea, perhaps when I travel at the end of the month to Chesterfield I could take some of these with me. They would be perfect for on the train, or honestly at the concert since I don’t drink alcohol. So many uses for this tea 😀 Thanks again Tg. Ps. Keep your eyes peeled on SororiTEA Sisters for my review of Tg’s hot tea selection. I still prefer home made iced teas but my bottles are not really nice looking.